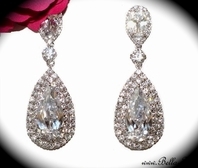 Description: glittery earrings of graduated round cubic zirconia stones are a captivating design to accessorize any wedding or prom dress. 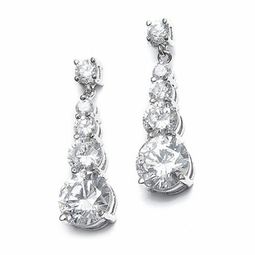 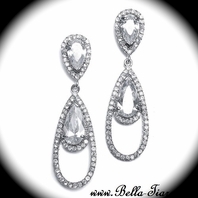 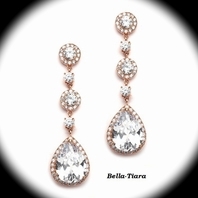 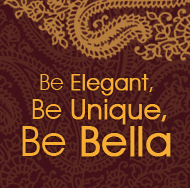 With classic styling, these CZ earrings are popular among brides, bridesmaids and mothers of the bride. 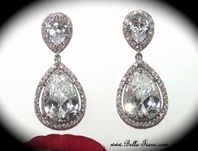 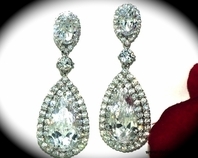 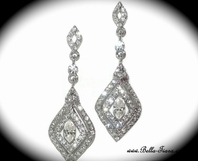 These silver rhodium plated bridal earrings measure 1 1/8" h.